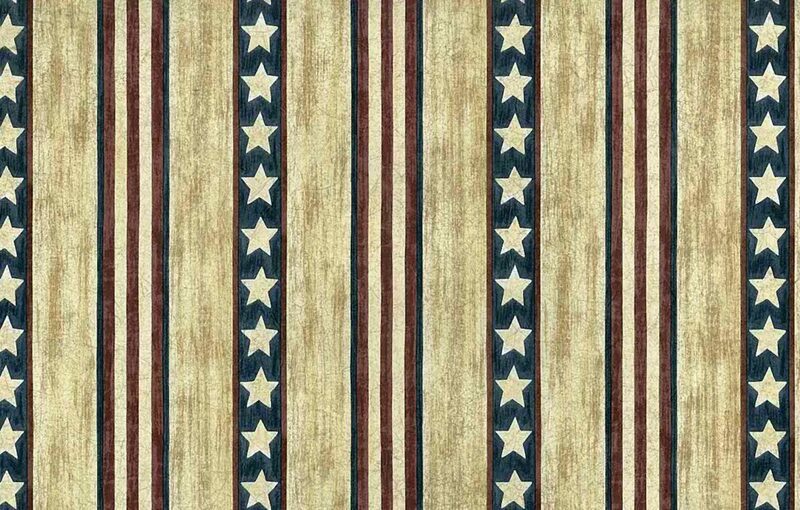 Striped vintage wallpaper Americana featuring a stars and stripes pattern in Tan-Beige, Navy Blue and Deep Red with White accents. Broad stripes in a tan-beige antique wood grain finish and navy blue stripes with white stars, and red, blue and tan stripes create a patriotic look. 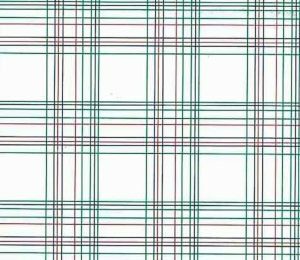 As a result, the pattern is true Americana country style. Purchase the one double roll and receive an additional FREE partial roll. Usage: Ideal for a Kitchen or Study. OUR PRICE: $26.99 per DOUBLE ROLL.